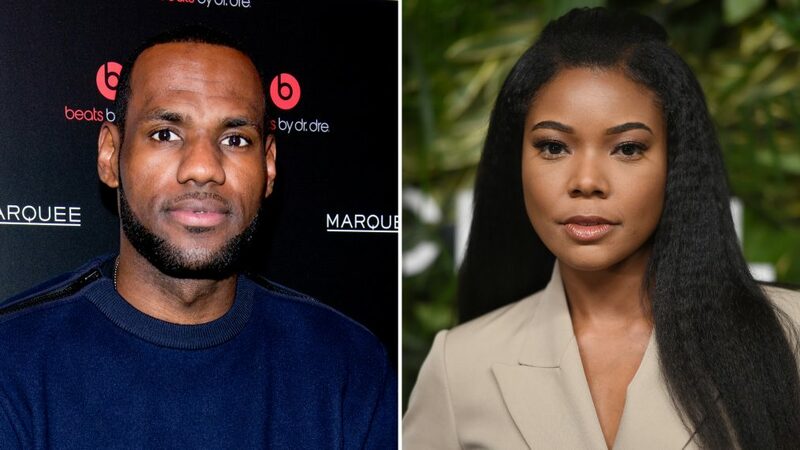 NBA superstar LeBron James and actress Gabrielle Union are developing a new ABC comedy. The 32-year-old Cleveland Cavaliers player and 44-year-old Being Mary Jane star will executive produce the series White Dave with producer Maverick Carter and director David E. Talbert, according to Deadline. Talbert, who will also serve as writer, based the show on his real-life experiences. The comedy follows an African-American teenager as he moves from an all-white suburb to an all-black neighborhood after his mom remarries. The Gabrielle Union-led series just wrapped its fourth season on BET. "Humbled. Blessed. EXCITED!! Yo @itsgabrielleu and @KingJames Let's go!!!" Talbert tweeted Wednesday. The Almost Christmas helmer further explained the project in an Instagram post where he recounted his childhood in Silver Springs and Capitol Heights, Md. "Okay, so I grew up in all white Silver Springs MD. Was the biggest, fastest, blackest kid in the neighborhood. My mom remarried and moves us to all black Capitol Heights MD where I became the smallest, slowest, whitest kid in the neighborhood!" the director wrote. "Shout out to @gabunion @mavcarter @kingjames @warnerbrosentertainment @abcnetwork for believing in this project," he added. "And special shoutout to my amazing mother for giving me and my older brother James an eventful and hilarious childhood!" Union said on her own account that she's "so excited" about the series. The actress stars as Mary Jane Paul on the BET series Being Mary Jane, which completed a fourth season in September.